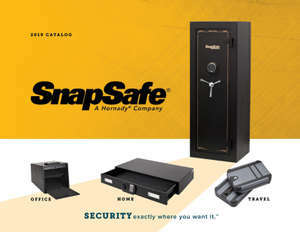 The SnapSafe Door Organizer is easy to install and offers a convenient way to maximize the most space in your safe. Universal design fits all safe doors. The organizer features PVC coating to protect your valuable firearms without scratching or damaging their surface. Mounting your door organizer is easy. Simply drill holes and attach with included hardware to any safe that is 2 1/2" or deeper.